Facebook Reading Club! – the Septuagint over Two Years | Open Our Eyes, Lord! 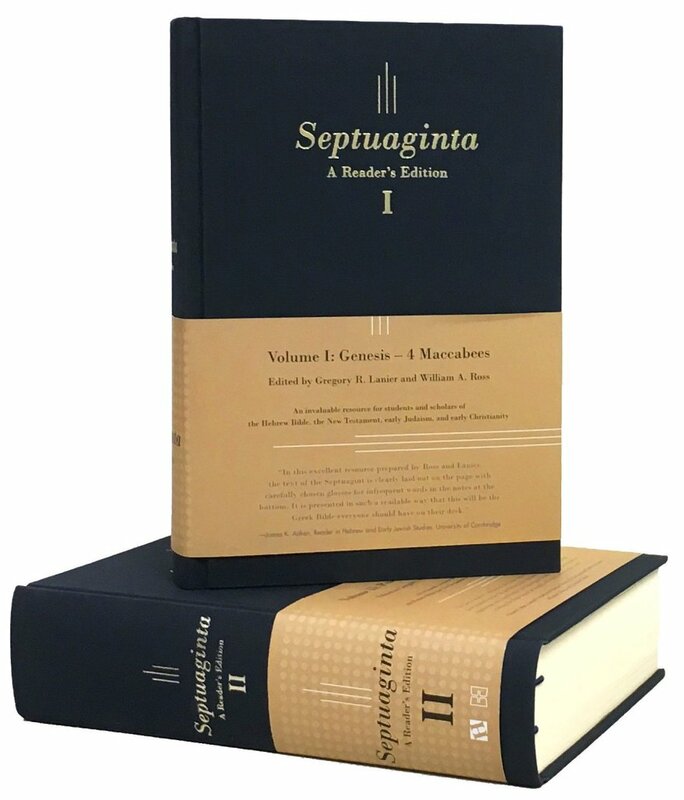 Our Goal: A two-year excursion through the Septuagint, including the Deuterocanonical books, from January 1, 2019 through the close of 2020. We will offer weekly reading plans that will average about a chapter and a half per day; for example, the week of January 1-6 we will read Genesis 1-12 LXX. The Psalms will be interspersed throughout the year, and we will have regular “Catch-Up” times. While en route, we will also take side excursions: reading Sinaiticus on its website, some Septuagint texts from the DSS, the Hexapla, the Theodotion version of Daniel, and the Fayyum fragments. Why? Two excellent reasons. The best way to expand one’s knowledge of biblical Greek is to read the Septuagint. And the Septuagint was the Bible of the apostolic church. 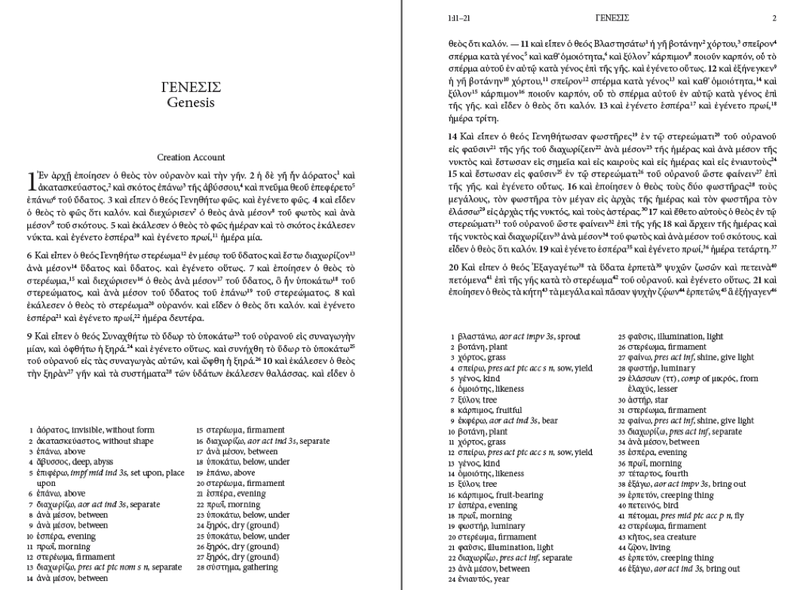 This edition of Rahlfs-Hanhart footnotes the lexemes which appear 100 times or less, beginning with ἀόρατος in Gen 1:2: the earth was “invisible, without form.” The list price is $109.95, but it is now discounted on Amazon for $87.96. it is highly recommended for participants in this group! (There is no Spanish equivalent edition). How Much Greek Do I Need in order to Participate? 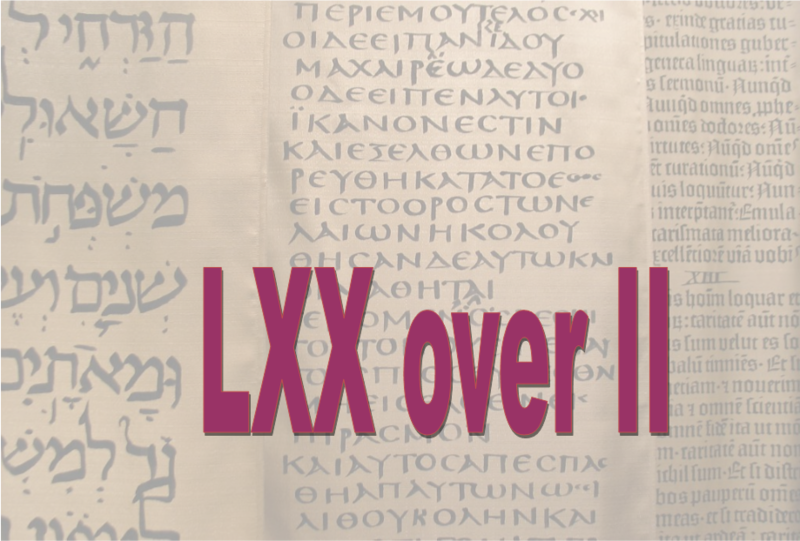 The difficulty level of the LXX is not high, especially for people who have dominated the Greek of the New Testament. Nevertheless, the sheer quantity of text – over 1100 chapters! – means that we will be covering about a chapter and a half per every day. Even for the intermediate or advanced reader, that might require a half-hour daily. This is all to say that, reading the entire LXX and committing this much time for two entire years will be demanding. Let us count the cost! To Join, go to Facebook: our page is under the name Septuagint2years or Septuagint in 2019-2020, go to the page and click LIKE in order to join.